If you've got New American fare on the brain, you're in luck: we've found four new Houston eateries that will quell your craving. Here are the newest places to check out the next time you're in the mood for New American food. Veteran restaurateur Sam Governale recently debuted his latest eatery, Emmaline, in the space that previously housed Teala's. The popular new Montrose spot offers classic dishes with a European twist for lunch and dinner, as well as weekend brunch. Diners can expect to find offerings such as the fire-roasted lobster and squid ink tagliarini with pancetta and charred broccoli florets; the butcher's cut steak fritti with hanger steak, oregano pesto and chef's fries; and eggplant caponata with bread. With a 3.5-star Yelp rating out 42 reviews, Emmaline is still finding its way, but it's early days. Yelper Bailey C., who reviewed Emmaline on January 18th, wrote: "Highly recommend! From the decor to the food and bar. Order the burrata! So good and the peppers served with it make this dish. Lamb pasta was perfectly cooked and seasoned, and not too heavy." Rachel E. said: "I made a visit to the newly opened Emmaline last night and was pleasantly surprised...The tone is decidedly upscale but there are casual elements, like the seating, that make it feel more approachable and suitable for a weeknight." Emmaline is open Monday-Thursday from 11am-11pm, Friday from 11am-midnight, Saturday from 10am-midnight, and Sunday from 10am-9pm. Based in Calgary, Canadian restaurant Moxie's Grill & Bar recently opened up its first Houston outpost in the Uptown area, near the Galleria. It has another Texas location in Dallas. Executive chef Brandon Thordarson helms the kitchen, and on the menu, diners can expect to find classic fare like steaks, burgers, pasta and more. Offerings include the chipotle mango chicken with lemon quinoa, seasonal vegetables and fresh avocado; blackened mahi mahi with chorizo and corn hash; and pulled chicken or fish tacos in soft corn taco shells. And yes, Moxie's offers poutine: fresh-cut fries, hot beef gravy, Quebec cheese curds, and fresh chives. Yelp users are generally positive about Moxie's Grill & Bar, which currently holds four stars out of 62 reviews on the site. 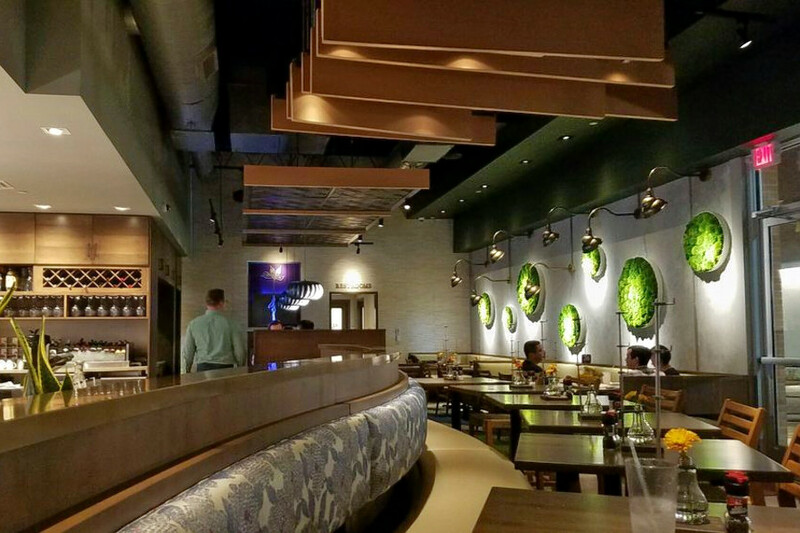 Yelper Adam C., who reviewed Moxie's Grill & Bar on January 15th, wrote: "Great looking restaurant! A+ service. Lettuce wrap was great...I will be back." And Carlos A. noted: "It hasn't been open long, so still has the new place feel to it. 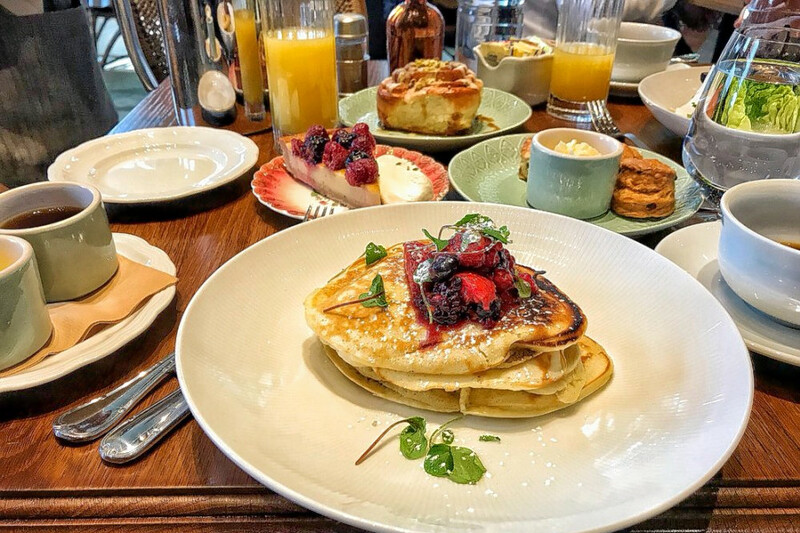 Feels very trendy and hip, and I would say there is a different vibe at brunch as opposed to dinner...I'll be going back for more and would highly recommend their brunch." The fifth location of The Union Kitchen debuted on Washington Avenue. The New American spot--which also recently won the "People's Choice Award" at the Greater Houston Restaurant Association's Golden Fork Awards--offers pizza, sandwiches, and more on its extensive menu. 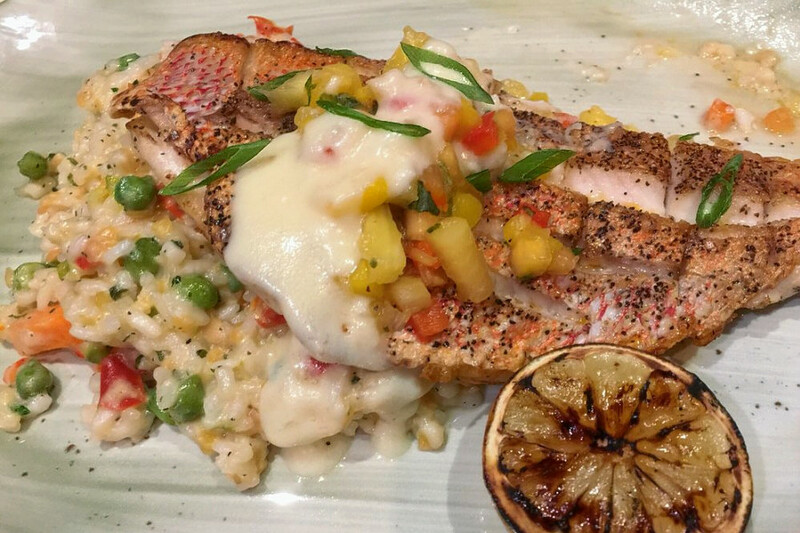 Diners can expect to find offerings like smoked salmon risotto bites with chipotle aioli; the herb-crusted rack of lamb with parmesan risotto and green beans; and the Cajun seafood pasta pizza with shrimp, mussels, clams, scallops and elbow macaroni. The Union Kitchen currently holds four stars out of 36 reviews on Yelp, indicating good reviews. 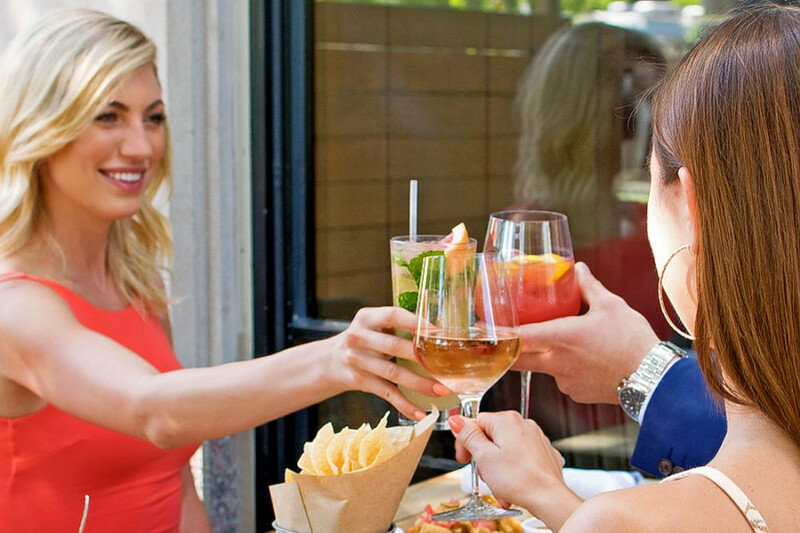 Yelper Laura S., who reviewed The Union Kitchen on January 5th, wrote: "Last night, I was meeting two girlfriends after work...we made it in time for happy hour, which is $5 glasses of wine and 1/2 priced appetizers. We ordered three appetizers and all three were delicious. " And A V. wrote: "Food was delicious, our waiter (Andrew) gave us the best customer service, and parking was easy to come across. We had lunch there, but looking forward to stopping by for weekend brunch." The Union Kitchen is open Monday-Thursday from 11am-10pm, Friday from 11am-11pm, Saturday from 10am-11pm, and Sunday from 10am-9pm. Bellagreen recently expanded with a new location in Vintage Park. The local chain--formerly known as Ruggles Green--offers an eco-conscious menu in restaurants that are green-certified. Along with burgers, pizza, and sandwiches, diners can expect paleo, gluten-free, and dairy-free options, such as the gluten-free spaghetti squash "noodles" in marinara sauce of roasted vegetables; high-protein empanadas made with wheat and high-protein hemp flour and all-natural ground beef; and a kale and fruit salad with kale massaged in an avocado lemon dressing. Yelp users are excited about Bellagreen, which currently holds 4.5 stars out of 38 reviews on the site. Yelper Chris K., who reviewed Bellagreen on January 22nd, wrote: "As a celiac, I absolutely love coming here. So many options and so delicious! Favorite is the spicy tempura fish tacos (gluten-free). Second favorite is the freshest of the fresh handmade gluten-free pizza crust...This location always seems to go the extra mile for their customers." 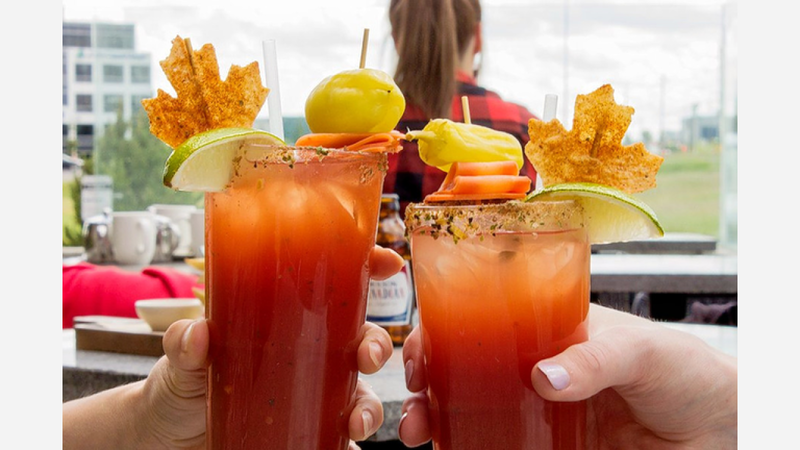 Angela R. noted: "Yum! Love this place. Haven't had anything I don't like here. They have a location in the Woodlands as well and this place is the same menu and great food!" Bellagreen is open Friday and Saturday from 11am-10pm, and Sunday-Thursday from 11am-9pm.